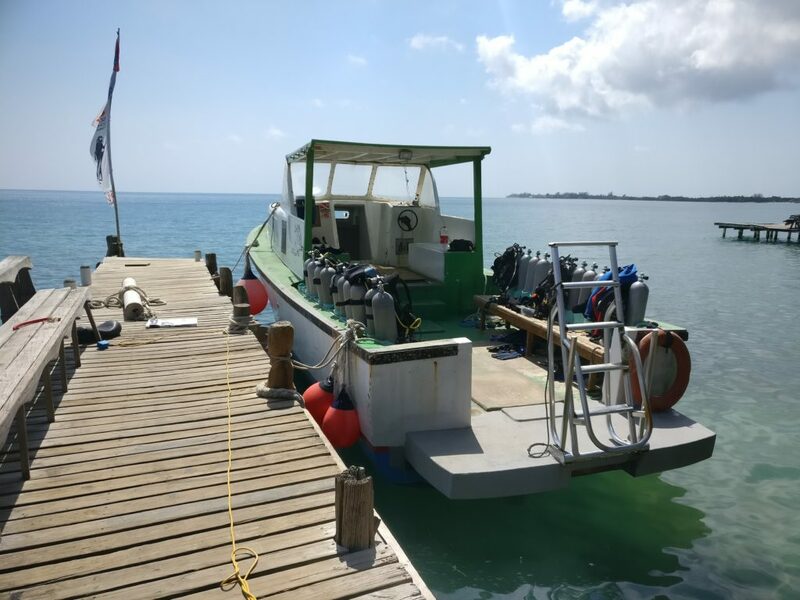 Utila is known to be the cheapest place on earth to get your PADI certifications. 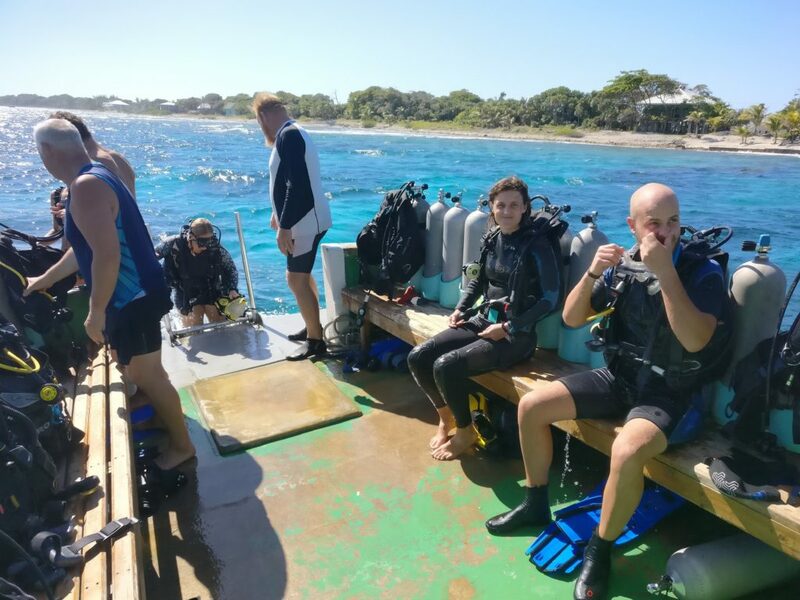 You can get Openwater Diver (OWD), Advanced Open Water Diver (AOWD), Rescue diver, Dive Master and instructor certifications. 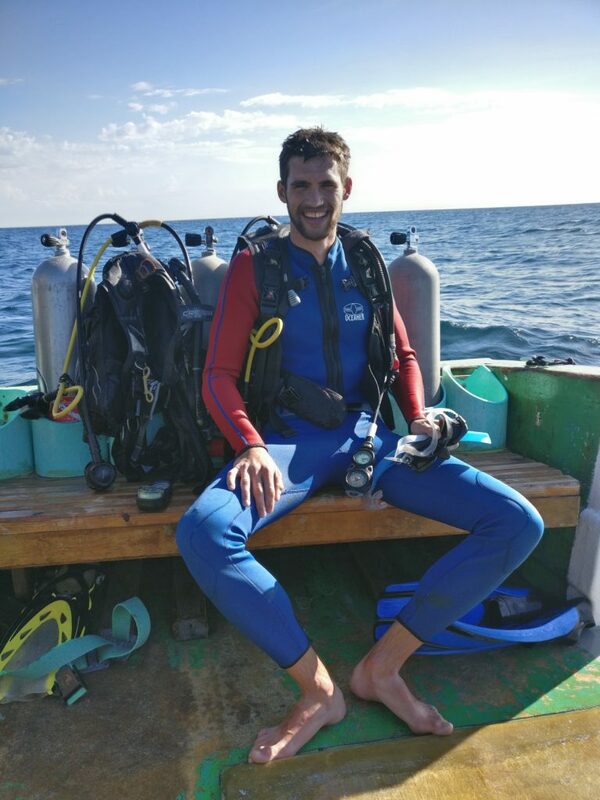 There are enough dive shops to choose from and I will show you how I did my OWD and AOWD certifications on a budget! 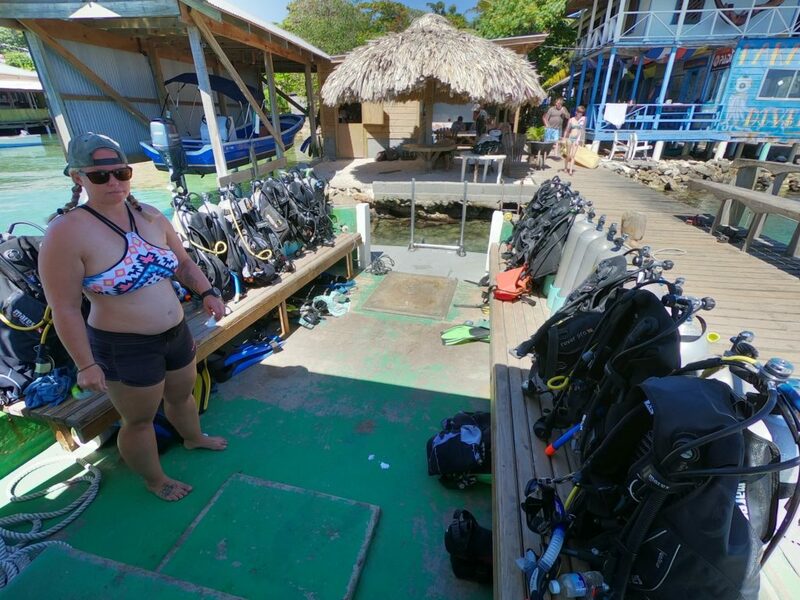 Our diving instructor – Corine. 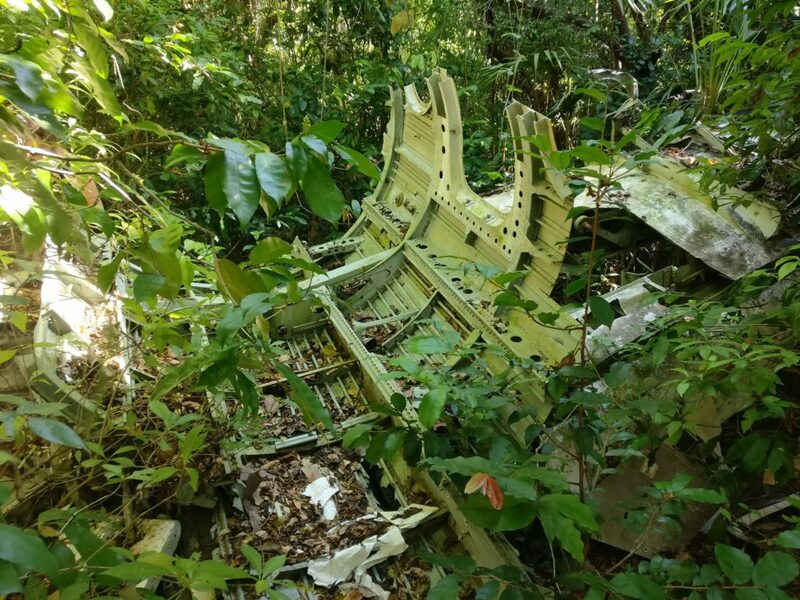 If you really want to choose the best place to get your certifications in Utila you might want to check Tripadvisor reviews. You should choose the best deal for your money while in Utila. Most of the dive shops will offer you free accommodation if you take a course with them. Also, you should get additional free “fun” dives after your course. 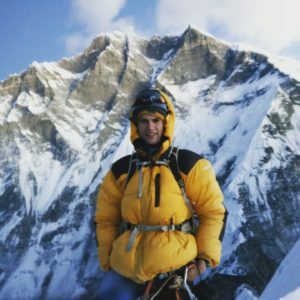 Is the equipment safe and well cared? How many fun dives are included in your package? 5 nights free accommodation at Rubi’s Inn. 4 dives during the course. 2 fun dives after the course. Friendly Staff, kitchen, free information & fun stories. Fact which is worth to mention. At the end of the bridge at Paradise Divers there is always a spot for local fisherman known as Zoro. Ask diving masters or instructors about him and you might be lucky to have tasty fish fillet for lunch or diner. A lot of people come to Paradise just to buy fresh fish from Zoro. He prepares fillet on the bridge. It cannot get fresher than that! First day was spent at the classroom. Day 1. 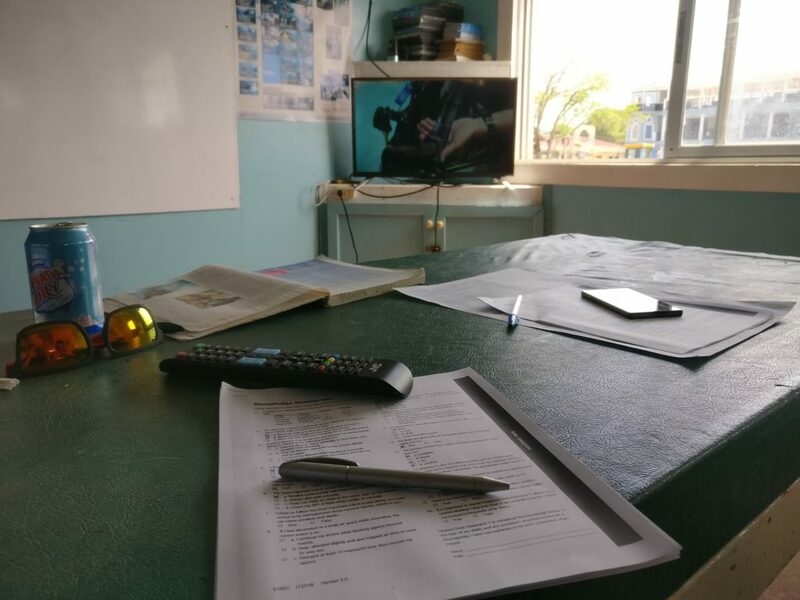 We watched PADI movies (the most boring part of the course). After the movies we had to answer some questions in quizzes. Day 2. Learning some skills at confined water conditions. Skills we learned includes removing the mask underwater, sharing air with your buddy, being buoyant underwater, etc. Cleaning our stuff after diving. Day 3. In the morning we had a short lesson where we learned how to use PADI dive tables and ERDPml calculator. Then we had short lunch and after that we had a short swimming and floating test. When our instructor saw that we know how to swim and float we got ready for our first real dives. First one was to Moon Hole, we got to 11 meters depth and stayed there for 39 minutes. Second one was to 12 meters and we even saw some cool fishes during it. Day 4. So now we are real divers, we know what we are doing and we can conquer the underwater planet. 3rd and 4th dives to 18 meters respectively. In the evening we had our final tests and got our OWD certification. Whalesharks if you are lucky! 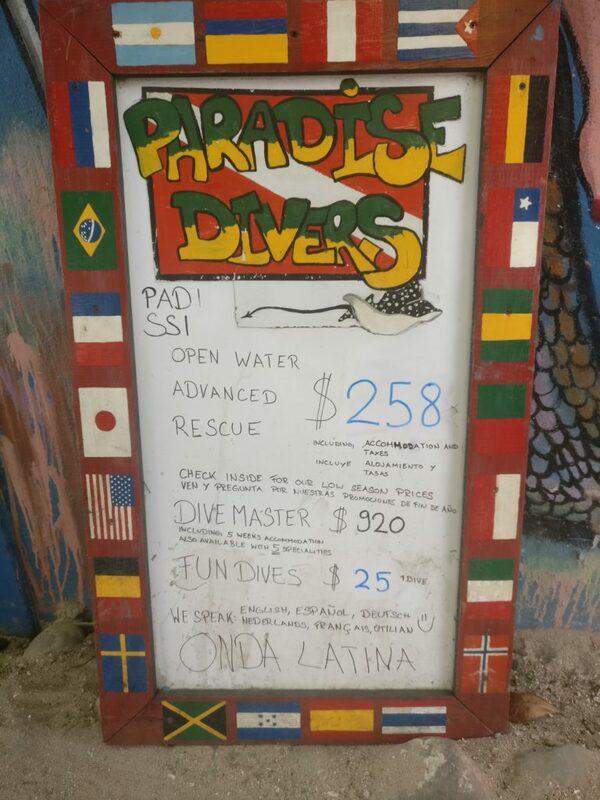 After finishing our Openwater Diver certification at Paradise Divers, Utila we got an offer which we couldn’t resist. Usually if you take AOWD after your OWD the price is $232 which includes 3 nights of accommodation. You will also get 5 dives during the course and 2 additional fun dives after it. After getting your Advanced Openwater Diver you will be able to dive up to 30 meters with your diving buddy. Getting AOWD certification is more fun than OWD. Because you already know the basics and this certification includes deep, night and wreck diving. Utila is one of those places where it is possible to do night diving. Don’t be surprised if somebody will tell you that they are having a night dive and if you want to join. During night diving in Utila you will see different sea creatures and if you are lucky bioluminescence. NOTE: If you plan to go further with your diving career check out wonderful article about Stress and Rescue diving courses in Bali. Ferry from La Ceiba to Utila. Utila island is located near the shores of Honduras mainland. 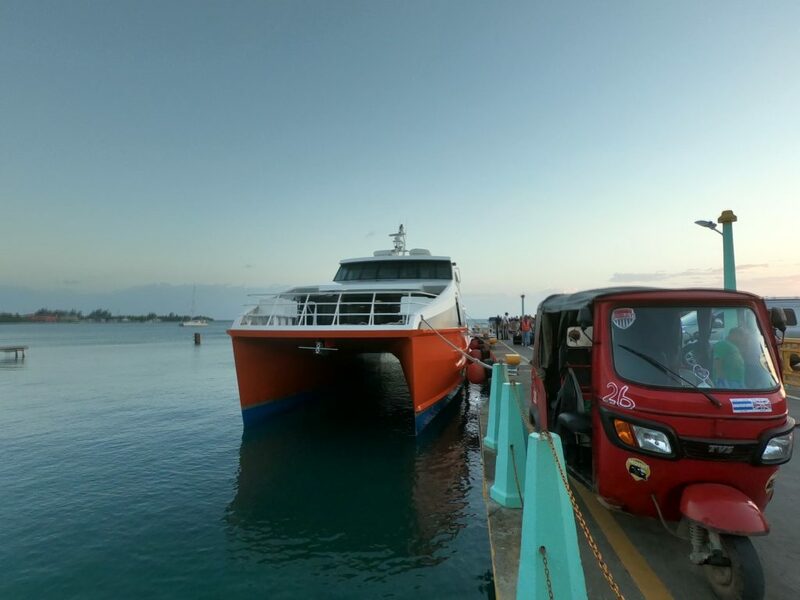 There are 2 daily ferries from La Ceiba at 9:00 AM and 4:40 PM. Price is 600 lempiras one way and 1200 for return ticket. 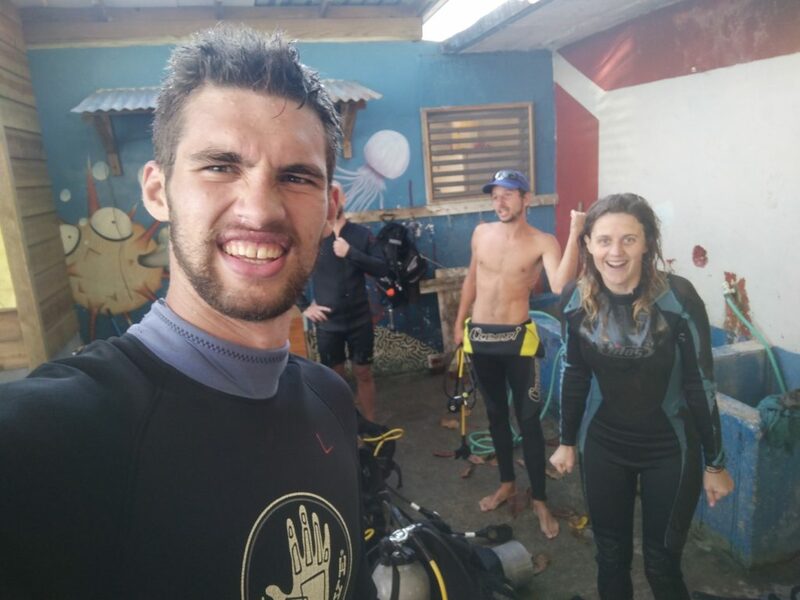 Enjoy your diving experience in Utila and let me know where did you get your PADI certification!